Why do you build your own apple juice plant? 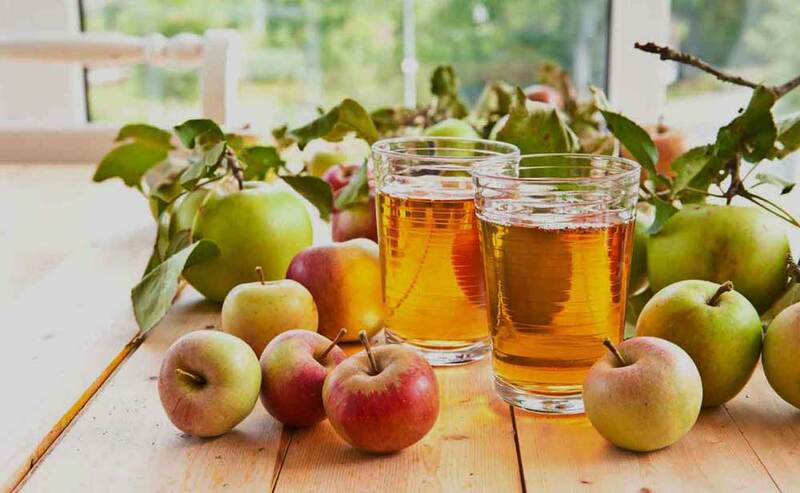 Prospect of apple juice processing industry: Apple is honored as the most nutritious fruit, which contains various kinds of vitamins, minerals and sugars. Eating apple frequently helps strengthen people’s memory and intelligence, as well as improve the respiratory system and protect us from smoke pollution. Besides eating apples directly, we usually process apples into apple juice and apple jam. 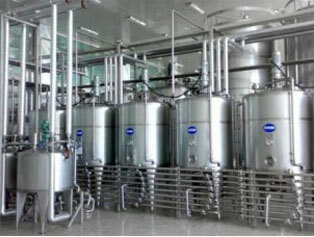 Apple juice processing has become a prominent industry in china over the past years. TICO is an outstanding apple juice processing line supplier in China, providing effective solution for your apple juice production. Market analysis of apple juice processing: China’s apple juice industry starts in the early 1980s. It has made remarkable headway since reform and opening-up. Up to now, China has become the world’s largest apple juice producer and exporter, taking up half of the world’s apple juice market. Concentrated apple juice is the major apple processed products. Cider, apple vinegar and fresh apple juice production spring up, which greatly promote China’s apple processing industry. 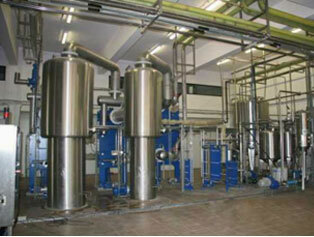 However, china’s apple juice processing industry starts late, the juice processing technology is uncompetitive. The rate of apple used in processing remains low. We are lack of specialized apple species for processing. Our processed products are limited to concentrated apple juice. The production of canned apples, candied apples and dried apples are small in scale. 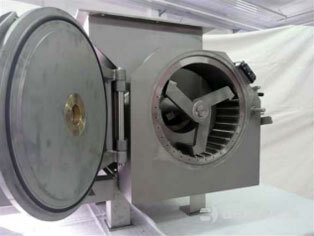 Turnkey project, including choosing, design, installation, training, etc. Easy operation, good stability and high apple flavor and color preservation rate. Processing raw material apples of 0.5-120tons per hour. Offer whole set of machines and single machinery. How to build your own apple juice plant? Clean and fresh apples are important to make delicious and healthy juice, so apple washing machine is the essential equipment to ensure the sanitation of apples. Apple bubble washing machine is mainly composed of blower, a water tank, roller, spray water tube, hopper and so on. It is a professional machine which is based on high pressure fan wind cargo pump water pressure to produce strong stirring movement, the apples in the water back, improve the efficiency of cleaning, special-purpose machinery so as to achieve clean apples. 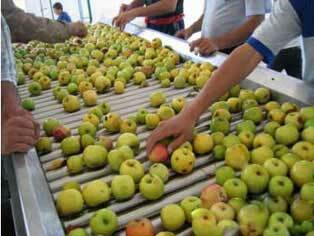 Apple sorting machine plays a vital role in fruit juice pre-treatment. The working principle of apple sorting machine is that the stainless steel shafts of the apple sorting machine roll themselves to transport apples, and the apples on the shafts can evenly rotate so that working staffs can easily pick out apples of low or inferior quality. The waste material will finally be conveyed into the receiving tank. 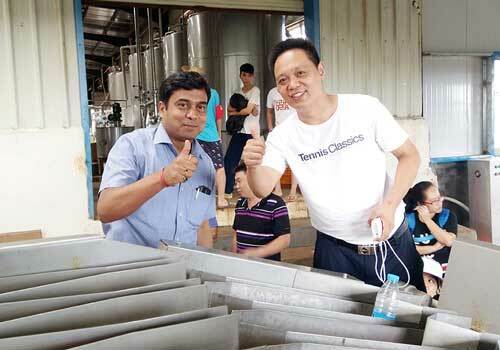 When producing fruit juice, you should do some procedures like clarification, separation, filtration, homogeneity, degassing and so on. Different applications require different clarification, there are centrifugal juice disc separator, juice double filter, ultra filtration, stainless steel tanks, juice homogenizer and colloid mill machine as your reference. Our company can supply different kinds of machines according to your requirements. As needed, apple juice can be concentrated. Concentrating system plays a vital role during apple juice production line, concentrated apple juice is small in size which can save packing and shipping costs. Vacuum degasser and falling film evaporator can be used in this procedure, but in general, 100% pure apple juice is the best, so you can according to your real condition to choose if concentration is necessary or not. 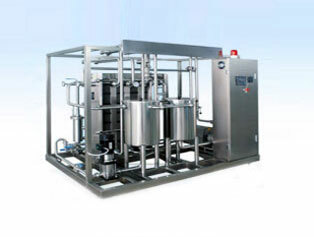 Sterilization is an indispensable step of juice beverage before filling and packing. Generally speaking, there are plant UHT sterilizer, tube-in-tube sterilizer, continuous spraying sterilizer and sterilizing kettle to sterilize apple juice. For tube-in-tube sterilizer, it applies to the sterilization of puree, while the plate UHT sterilizer is suitable for the clear apple juice. Filling and packing is important at the end of producing apple juice, there are bottle blow molding machine, pet bottle filling machine, aseptic bag filling machine, metal can filling machine and etc.